Get comfy! Get going! 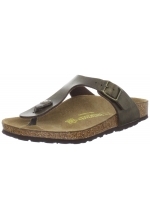 Get yourself a pair of Bandolino Women's Happy me Wedge Sandal. Easy to pair with any of your summer dress collection, this sandal will keep you going all summer long. Featuring a Synthetic upper with an open toe. Adjustable side buckle and a beautiful metal decoration on top.